Fay Compton began her stage career in 1911, and although her roles in Shakespeare fall outside the period I am interested in, she played opposite some of the most distinguished actors and in such important companies like the Old Vic, that she is worth including among our best players. She played Ophelia with John Barrymore at he Haymarket in 1925 and repeated the role again in 1931. The Open Air Theatre was a venue in 1935 for her parts as Titania and as Rosaline in Love’s Labour’s Lost. 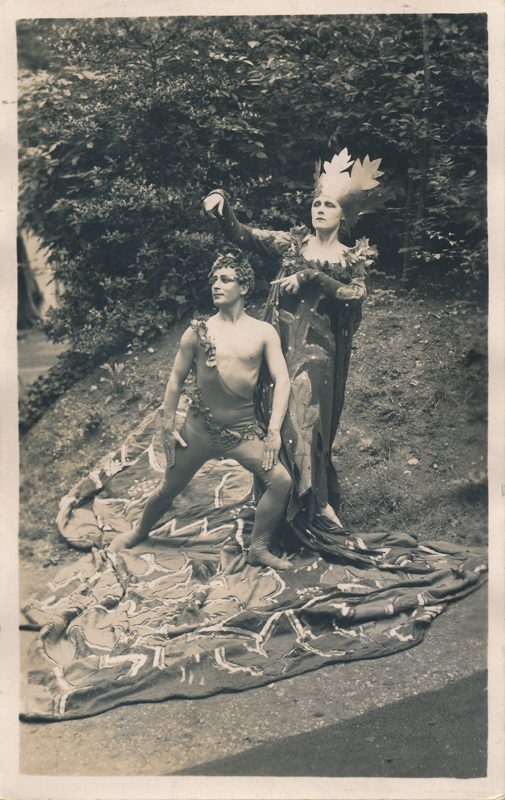 She appeared again at the Open Air Theatre in 1937 as Titania in A Midsummer Night’s Dream, as Calpurnia in Julius Caesar, and as Paulina in The Winter’s Tale. In 1939 she played Ophelia with Sir John Gielgud as Hamlet at the Lyceum (the last performance at that famous theatre), a production they then took to Elsinore, Denmark. Unlike many of her near-contemporaries (like Ellen Terry), Compton’s parts in Shakespeare grew more numerous as she grew older: Regan in King Lear (1940), parts in Othello and Hamlet (1946), Emilia in Othello (1947), and Gertrude (1953). During the 1953-54 season with the Old Vic she played Gertrude, The Countess of Rossillion in All’s Well That Ends Well, Constance of Bretagne in King John, Volumnia in Coriolanus, Paulina in The Winter’s Tale, and Juno in The Tempest. Her favorite part, according to her listing in Who Was Who in the Theatre, was Paulina. Besides her career on the stage, she played in more than seventy film and television productions between 1914 and 1970. Of particular interest is her role as Emilia in Orson Welles’s 1952 film Othello.